Many truck lovers are no longer turning to full size pickup trucks as their truck of choice. Midsize and even small pickups are gaining ground. This change of a buyer’s pickup preferences is occurring for several reasons. As prices are rising on just about everything from food to housing costs, so are automobile prices. Consumers are looking for affordable vehicles that can do what they need them too. Small and midsize pickup trucks are generally cheaper than larger trucks, which make them enticing for truck buyers. 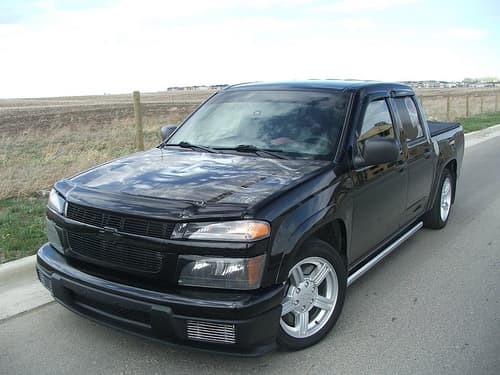 For example, the Honda Ridgeline and Nissan Frontier are both gaining popularity because of affordability. With gas prices fluctuating and many consumers having to endure long daily commutes, a vehicle’s gas mileage is often a concern. Midsize and small trucks often get better gas mileage than full size trucks. The Toyota Tacoma gets a whopping 23 mpg’s per gallon. This almost unheard of gas mileage of a truck even beats out many economy cars as far as mpg’s go. This is a big selling point for many automobile buyers who want a truck, but don’t want to have to pay a lot each week for gas just to get to work. A lot of people find that full size trucks are hard to park or maneuver. In the past, small or midsize trucks just couldn’t do the job of bigger trucks so the consumer was stuck with buying a truck that they just weren’t comfortable driving around. Now thanks to trucks like the Chevy Colorado, consumers can buy a truck that has space in the cab to sit passengers without being cramped and have a truck bed long enough to haul stuff around. In conclusion, even though full size trucks are still popular, midsize and small trucks are gaining popularity. There are many reasons why these trucks are now becoming the buying preference for many consumers. With many new small and midsize trucks being unveiled in the coming future it wouldn’t be surprising if sales of these trucks actually surpasses those of even the largest of trucks available to automobile buyers.